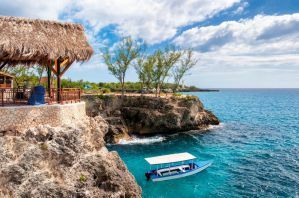 Negril is a beautiful town in Jamaica that is famous for having seven miles of white sand beaches and another seven miles of beautiful and dramatic cliffs. It's one of the most beautiful towns on the island and it has a laid back island atmosphere. It's also a bit touristy and has all of the amenities you might need as a visitor. This is truly a breathtaking and impressive place to visit. 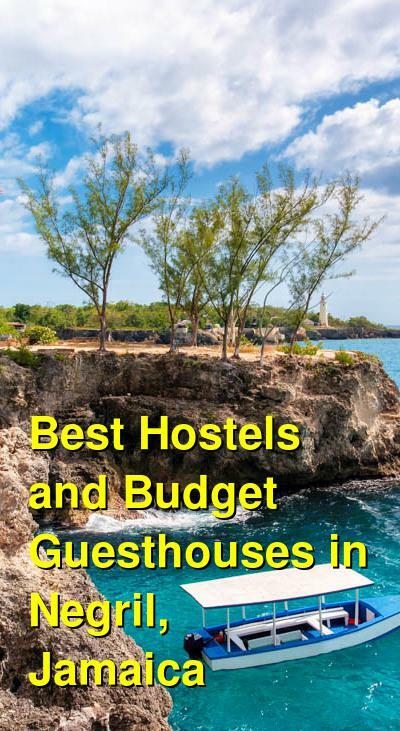 There are some good hostels and budget accommodation options around Negril. If you're hoping to save money and still enjoy the beach setting, then you should look for basic accommodation in a hostel or budget guesthouse. How much do hostels in Negril cost? A good hostel for budget travellers, couples, and backpackers. Negril Yoga Centre, also known as The Little Oasis, has been in Negril, Jamaica since 1981. It's a highly recommended place to stay that is listed in many guidebooks and websites. It's a relatively small place that has just twelve rooms and each rooms is quaint and charming. Every room is equipped with its own refrigerator and ceiling fan, and some rooms also have air conditioning. The hostel has both twin and double private rooms to choose from. Some use shared bathrooms while others have their own attached private bathrooms. The hostel has some unique amenities available for guests that are hard to find in Jamaica. There's a shared kitchen where you can prepare your own meals. There's also a large and beautiful garden that has many fruit trees. This is a very relaxed and pleasant place to spend some time. The hostel is located just a few steps from the sea. It's also walking distance to many great restaurants, shops, and entertainment venues. It's convenient location and solid security system make it a safe and comfortable place to enjoy your vacation. The staff here can also help you with anything you might need. Whether you want to relax in a hammock, enjoy a good breakfast, or hang out by the water, this is the place to stay. A good option for solo travellers, couples, families. Catcha Falling Star Gardens is a small hotel that is located on the popular West End Road in Negril, Jamaica. It is a relaxing place to stay with a nice garden and a family style atmosphere. It's popular with all types of travelers including couples, families, and those traveling alone. The facility was recently renovated and it has ten large and well lit suites that each have their own private balconies. The lower level villas have access to the gardens. This hotel has a variety of amenities available for guests including a swimming pool, cable television, air conditioning, refrigerators, and hot showers. Air conditioning is only available in some rooms and there is an additional fee. The hotel also has a popular restaurant that is located right across the street. At the restaurant you can enjoy a great meal and a cold drink with a wonderful view of the water. The restaurant also provides access to the beach. This hotel is also walking distance to the famous Ricks Cafe and it's about a five minute drive from Seven Mile Beach. If you want to enjoy a little piece of paradise, then this is the place to stay. A good hostel for solo travellers, backpackers, and small groups of friends. The Judy House is a one of the most popular hostels in Negril with the backpacker crowd. It has dormitory style rooms that sleep up to eight people as well as smaller dorms that sleep two or three people. There are also three smaller single rooms that are great for solo travelers who want a little privacy. If you want a little more space and comfort, there are two cottages that have four beds and sleep six people. These cottages are small but comfortable and they have air conditioning, a fan, and private access to the garden. The hammock cabanas have five hammocks and sleep up to five people. They are only available during the dry season and each hammock has a small mattress, pillow, and mosquito net. There's also a place to lock up your luggage. This hostel is a fun and relaxing place to stay that really has something for everybody. There's the "One 4 the Road" Honesty Bar that is open all day, every day. There's also a shared kitchen where guests can prepare their own meals. The hostel is located about a ten minute walk from the Caribbean Sea along Westland Mountain Road. There are a few shops and bars in the neighborhood as well.